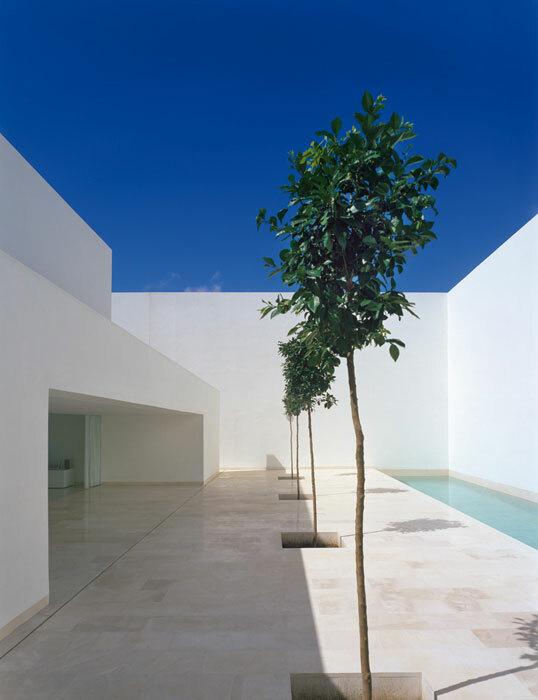 Alberto Campo Baeza is among the minimalist architects, who impress those, who do not recognize minimalism as their architectural style. 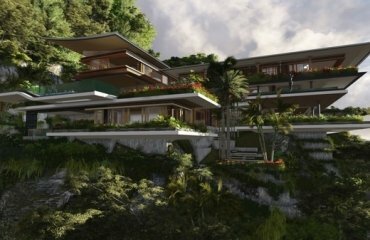 His unique blend answers to any preferences, as it includes characteristic of many different cultures, most notably the Italian and Japanese architectural trends. 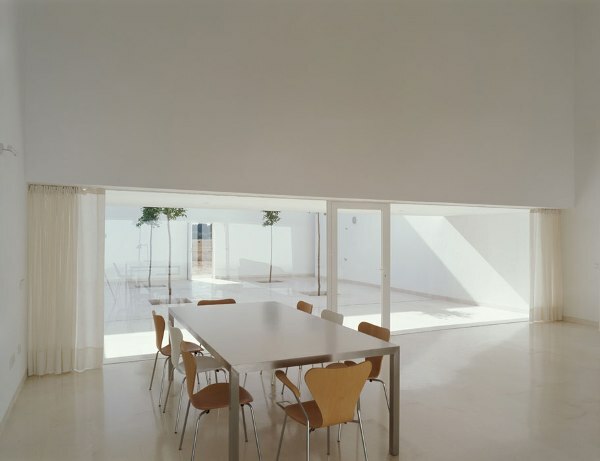 One of his most famous projects is the minimalist architecture house Casa Guerrero, built in Cádiz, Spain. 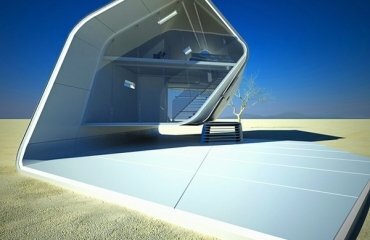 It is a project of pure minimalist architecture. In its structure, it’s a mosaic of different squares assembled together. The squares are built one inside the other with the living zone placed in the center. 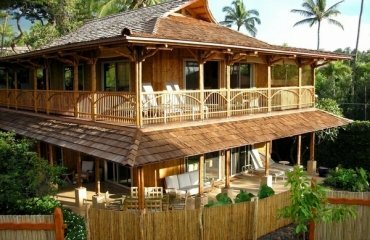 The specific feature about the house is that this zone is the only one that has a roof. 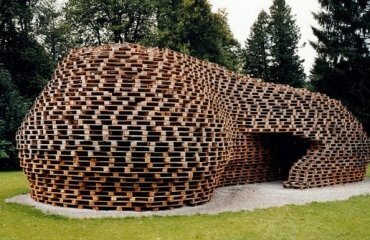 Another thing is that nowhere in the outer walls are there places, meant for windows, or any other kinds of openings. 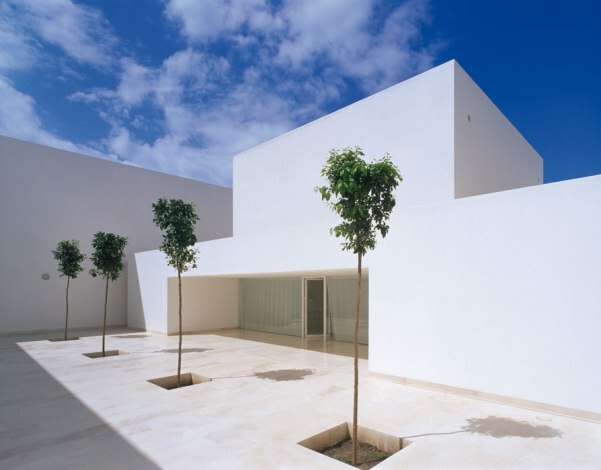 This architectural decision further exploits the theory of the white cube, which is symbolic for minimalism. Their placement follows a pedantic line of arrangement. Near one of the walls there is a stylized lake. 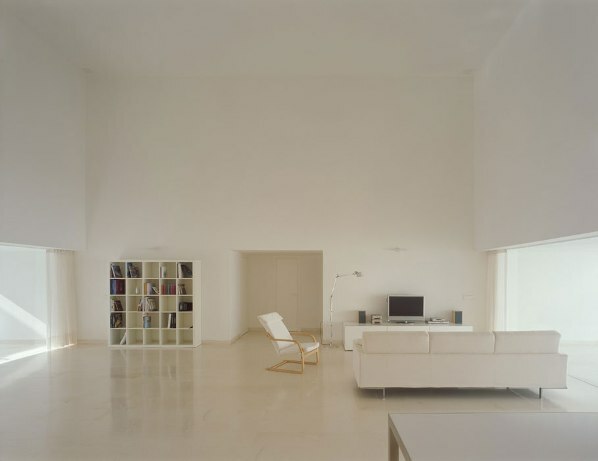 The only colour, present in the entire minimalist architecture and design of the house, is white. The only nuances are the conditional variations of the white colour. This configuration decision makes the colour scheme a rather unusual blend of hardly visible nuances.The main effect is underlining the game of light and shadow in the different periods of day; at times – even in the period of a few minutes, when there is a sudden change in the light conditions. 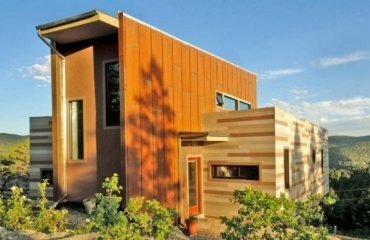 This decision acts as a way of further accenting on the magnetism of the house. 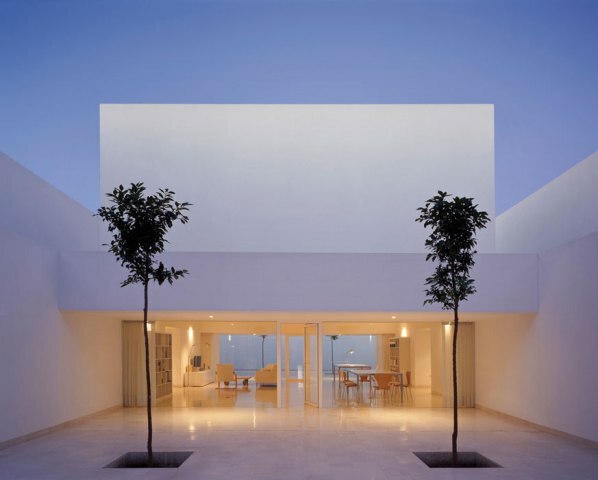 Architect Alberto Campo Baeza has established himself as a master of minimalism and fine touch in a specific colour and design range of his own. 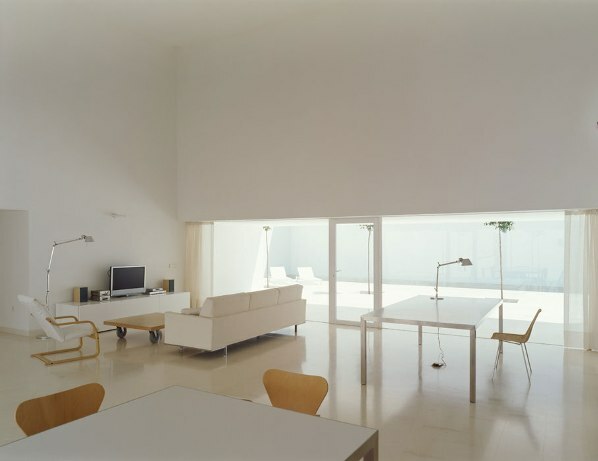 His ideas are renowned worldwide and have go on to influence the entire Spanish architecture and minimalist architects .